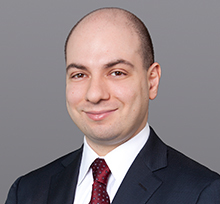 Bennett Silverberg has significant experience representing debtors and creditors in Chapter 11 reorganization cases and out-of-court restructurings. His engagements have ranged across a wide array of industries, including retail, automotive, education, food, manufacturing, real estate, lending, media, technology and telecommunications. Cases on which Bennett has worked include Chapter 11 debtor representations of CIT Group, Inc., Hayes-Lemmerz International, Inc., Blue Bird Bus Company, Safety-Kleen Systems, Inc., Russell-Stanley Holdings, Inc., Refco, Inc., Radio Unica Communications, Corp., VF Brands, Inc. (a/k/a Vlasic and Swanson Foods), RCN Corp., PTC Alliance Corp. and American Banknote Corp.; the official creditors' committees in the Chapter 11 cases of Chellino Crane, Inc., Constar International Holdings LLC, Boomerang Tube LLC, CODA Automotive, Inc., Corinthian Colleges, Inc., Digital Domain Media Group, Inc. and Real Industry, Inc.; and the official equity security holders' committee in the Chapter 11 cases of Adeptus Health, Inc. and KIT digital, Inc. Represented the Official Committee of Unsecured Creditors in the Chapter 11 Case of Hooper Holmes, Inc. Represented the Official Committee of Unsecured Creditors in the Chapter 11 case of Real Industry, Inc. Represented the Official Committee of Unsecured Creditors in the Chapter 11 case of Chellino Crane, Inc. Represented the Official Committee of Unsecured Creditors in the Chapter 11 case of Corinthian Colleges, Inc. Represented the Official Committee of Equity Security Holders in the Chapter 11 case of KIT digital, Inc.